Brookefields is the first of its kind retail project in the city of Coimbatore. With several anchor retail outlets, leading local, national and international brands, hyper markets, food court, family entertainment centre, multiplex, parking – all under one roof, it is the ultimate shopping and entertainment experience! 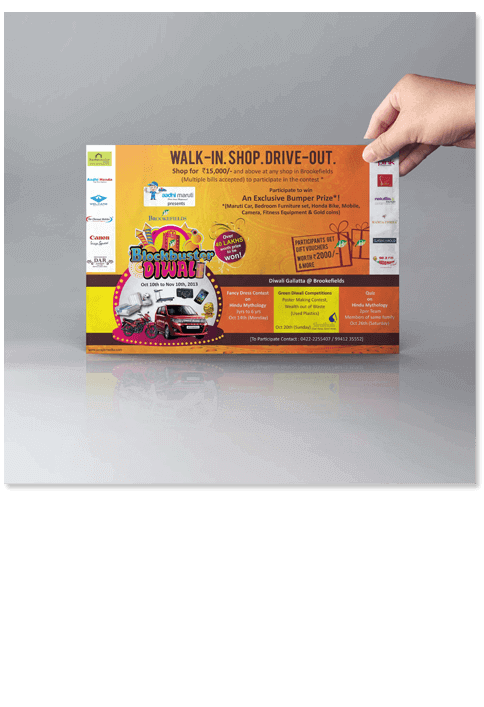 Poogle Media designed event branding , poster design, ticket design, banners ect for Brookefields on the occasion of diwali.